The logo for Wolverine: The Long Night. Marvel has ventured into the podcastiverse with Wolverine: The Long Night, an SVU-style crime drama complete with cults, a serial killer, and Easter eggs for X-Men fans. It’s clearly for a specific audience that enjoys comic book stories, podcasts, and true crime. Luckily, I sit at the center of that Venn Diagram, so needless to say, I’m into it. 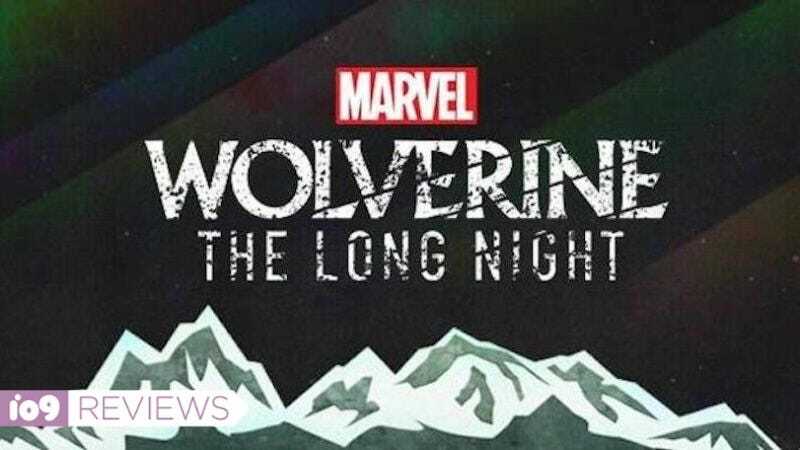 The first 10-episode season of Wolverine: The Long Night debuts today on Stitcher, written by Ben Percy (The Wilding, Red Moon) and directed by Brendan Baker. As of writing this, I’ve listened to three episodes, and things are off on a promising (albeit imperfect) note. The podcast follows federal agents Tad Marshall (At Essandoh) and Sally Pierce (Celia Keenan-Bolger) as they investigate a bloody massacre that took place on a fishing boat off the coast of Burns, Alaska. All claws seem to point to Logan (Richard Armitage, who played Thorin in The Hobbit films), who’s on the run from Weapon X and struggling to regain his memories. But as the story develops, things get complicated, more murders pop up, a mysterious cult comes into the mix, and the local sheriff seems strangely determined to get the agents out of his town. The first thing you’ll notice about Wolverine: The Long Night is how old-school it is. The podcast has been compared to Serial, the incredibly popular true crime podcast hosted by This American Life’s Sarah Koenig, but being fiction, it’s more akin to A Prairie Home Companion. You’re not listening to the personal logs of a reporter or investigator as they uncover the mystery, like Limetown or Tanis. It’s treated like an audioplay, and the podcast weaves between scenes, moments, and characters. But our knowledge is limited—we’re learning right alongside the protagonists. Most of the characters are interesting, though some fall into crime drama stereotypes. Marshall and Pierce are definitely doing the Good Cop/Bad Cop thing. Marshall is more engaging, coming across as direct but sincere, while Pierce’s take on the no-nonsense “don’t make me grab the cuffs” badass gets a little silly at times. The best so far is, of course, Richard Armitage as Wolverine. We haven’t heard much of him yet, but Armitage has an excellent take on the X-Men hero, coming across as exhausted, miserable, and in desperate need of some hope. Logan is a complicated character, and Hugh Jackman’s portrayal is iconic, but Armitage really holds his own. My only complaint is that he’s not really a central part of the story, at least not yet. He’s more of a plot device. The villain appears to be the leader of the Avalon cult, Nicholas Prophet (Brain Stokes Mitchell), who leans heavily into every “I run a crazy cult” trope you can think of (he burned off his fingerprints; who does that?). The whole cult thing is kind of a mixed bag. On one hand, I’m fascinated with stories about cults and Avalon is a nifty one. It’s just so creepy! It’s a lot of fun uncovering more about what its members are up to, especially given how they’re an original storyline not from the comics. And yet, there’s something off about it I can’t quite get into. It’s not so much the cult itself, but how it exists in this world the podcast has created—the town doesn’t care nearly as much as it should that there’s a cult nearby sacrificing chickens, and possibly people. But the people in town also seem to have no idea mutants exist (at least so far). There’s always a chance this is part of the larger mystery and will be explained down the road, but right now I can’t get a grasp on it. Unless it turns out everyone is in the cult, this might end up feeling a tad disappointing. That’s not to say I’m not into the podcast. I am! I think it’s a lot of fun, even if it’s got issues. In the end, I think the best indicator for a narrative podcast—really, any kind of story—is how much you care about finding out what’s going to happen next. And right now, I’m really interested in what’s down the road for Wolverine: The Long Night. It might not be perfect, and some of the characters and setups might verge on the ridiculous, but it’s exciting to experience a comic book universe story in this format. I don’t know how successful it’s going to be, or whether it will actually launch a Marvel Podcast Universe, but I admire them for trying—and I’m very glad they did it.